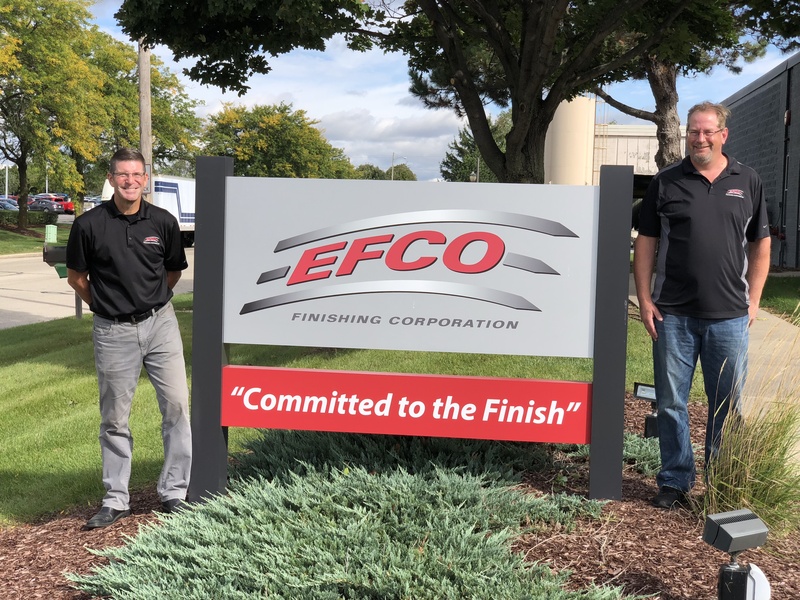 With a complete offering of metal finishing services, EFCO has the expertise to handle any metal finishing job. But what sets us apart is our dedication to providing the best service available. We continually strive to always meet customer’s deadlines, offer competitive pricing, and to get the job done right, the first time. At EFCO, we listen to our customers, and work to create relationships that last. To finding ways to get the job done right, the first time, no matter what. Longevity also comes from continuous improvement. 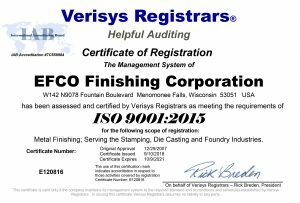 EFCO is ISO 9001:2008 Certified. We also collect and treat our industrial wastewater, which has landed us on the Milwaukee Metropolitan Sewerage District Honor Roll, a reflection of our dedication and commitment to preserving the environment, and its well being. But EFCO is more than just machines and services. We are people who live and work in this community and take pride in our work. It starts with owners Terry Schultz and Mike Budgins, and it can be seen in every employee. We want to be your metal finishing provider, a resource you can trust and count on, and we’ll do whatever it takes.